For those looking to show off a bright, pearly smile, nothing is more inconvenient than the slight presence of a decaying tooth. 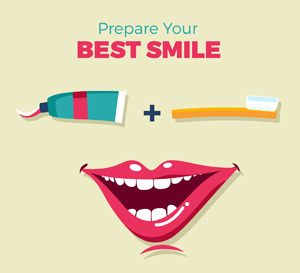 Maintaining a healthy set of teeth goes beyond a routine oral health regimen. Sometimes, the most influential causes of tooth decay lie in the foods and drinks we consume. Plaque, a colorless, sticky film, develops as a result of these causes — with potential to snowball into more serious dental conditions if immediate action is not taken. So, how does this harmful substance find its way to our teeth and make a home in our otherwise healthy smiles? Most importantly, how can we battle this unwanted visitor and come out victorious? Think of plaque as a bulldozer destroying everything in its wake. It can attack fillings and other restorations in your mouth, ruining any progress made on these procedures and possibly costing you a significant amount of money to restore down the road. The subsequent decay can gradually destroy the inner layer, or dentin, of your teeth. The pulp and root of a tooth, which contains blood vessels, nerves and other tissues, can also be destroyed in the process. Periodontal disease should be taken seriously. At Beaufils Dental, we encourage our Cooper City patients to visit us at the first sign of any of the above mentioned symptoms to ensure they are diagnosed and treated with the care they need. The two best defenses against tooth decay and gum disease are a healthy, well-balanced diet and good oral hygiene — this includes brushing daily with fluoride toothpaste, flossing and rinsing. Most public drinking water contains fluoride, so you’ve already got easy access to one prevention method. However, if you are unsure of your water supply, a good quality mouth rinse containing fluoride does the trick just as well. A useful way to maintain your oral health between brushing is chewing sugarless gum. This stimulates your body’s production of saliva – a powerful chemical that actually neutralizes plaque formation and rinses decay-causing food particles and debris from your mouth. At Beaufils Dental, we want to ensure our patients are taking advantage of every preventative measure available to help fight tooth decay. In some cases, we can prescribe certain preventative products to our clients, such as anti-cavity rinses. We may also apply special anti-cavity varnishes or sealants to help fight decay. Preventing tooth decay begins with limiting the consumption of the foods and drinks that jumpstart plaque, while maintaining an oral hygiene regimen in between. By combining these factors, you can fight off unwanted tooth decay and keep your teeth healthy and plaque-free. Beaufils Dental is a Cooper City dental office who values patient knowledge and offers insight on the many causes and preventative measures of tooth decay. Call us today at 954-252-1390 to schedule an appointment with us today and begin your fight against tooth decay before it’s too late. Oral Surgery Aftermath: What Should You Expect? Preferred Day Of The Week? Late at night and suffering from a dental emergency? Call our after hours direct line and we can help ease your pain.